The photographs in the book are fascinating and almost all of them were taken by the author (except for those pics of Django), probably at the annual Samois Festival. You can feel the history just jumping off the pages with all of the players who were on the scene back in the day. 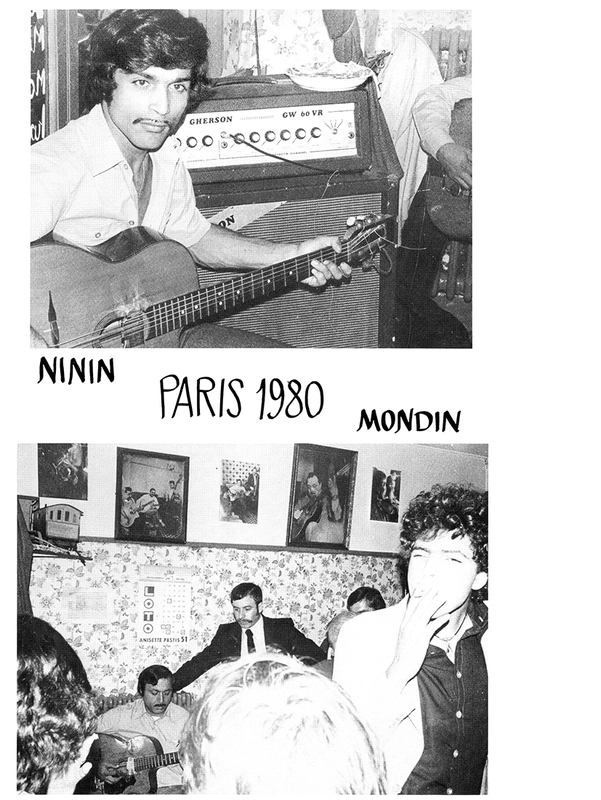 Manouche/Sinti players always have a certain savoir faire about them. That’s true of all guitar players, but these guys definitely have their own artistic/cultural vibe. There are a lot of beat-up guitars and whatever amps they could dig up so most of the players supported themselves as musicians and worked a lot (whenever they could). There are pics of Django contemporary Maurice Ferret, Django’s brother, Joesph Reinhardt, a youngish Fapy Lafertin, Babik Reinhardt (Django’s son), young Boulou and Elios Ferré, Raphael and Louis Fays, Ninin, Modin, and many more. Of course the first part of the book is the story of Django — the guy who started it all! The author has been a player of some renown in the UK for a number of years. He obviously has a lot of love for the style and has been there for a lot of great shows over the years. 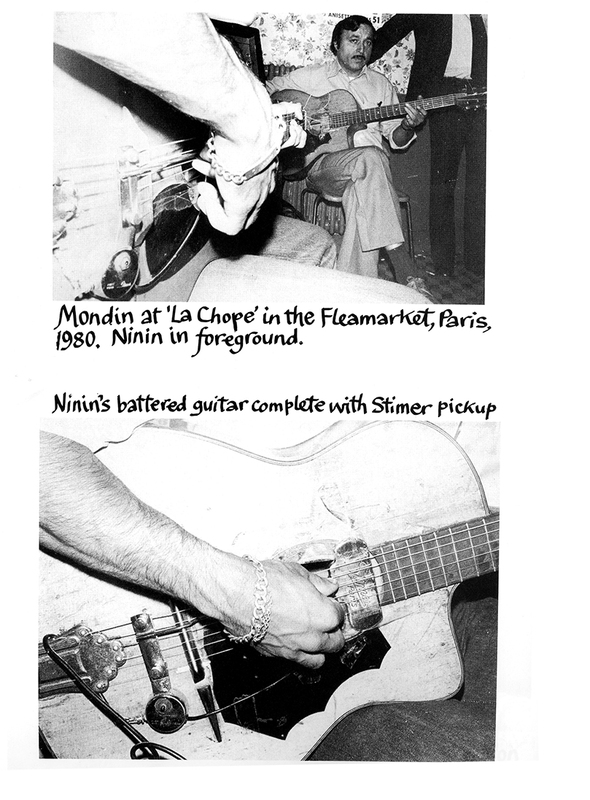 The instructional material is a good primer for getting started on Manouche guitar. 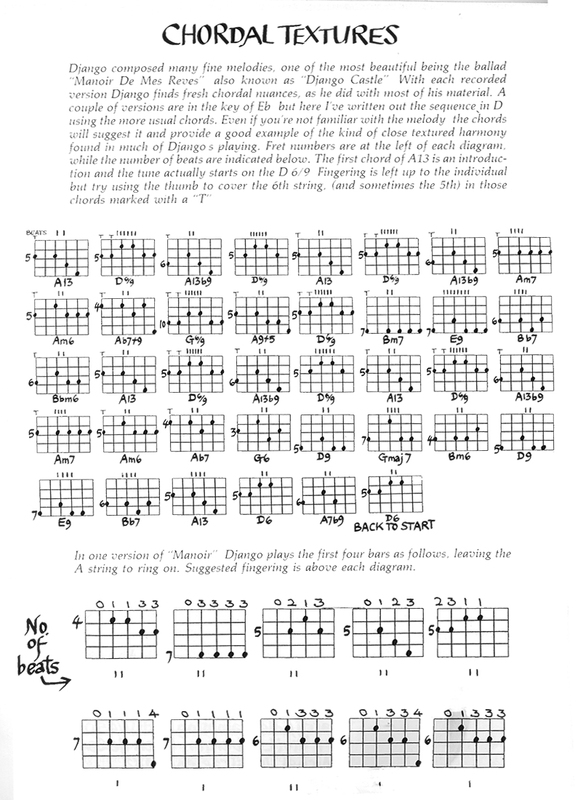 While it isn’t as detailed and exhaustive as later publications, Cruickshank covers all of the basics to get one up and jamming on a couple choruses of Minor Swing or Djangology. The hardest part is figuring out how to read the of the diagrams, which are a bit confusing. I recommend this book if only for the history lesson and as a snapshot of the mid-80s. Certainly the quality of instructional material has taken major leaps forward in the past 30 years and so much more is known about the inner workings of the style and community compared to 1985. Younger people would probably view some of the material as quaint or dated today, but it does hit all of the right notes as far as bullet points of the style, so I have to give it a thumbs up!